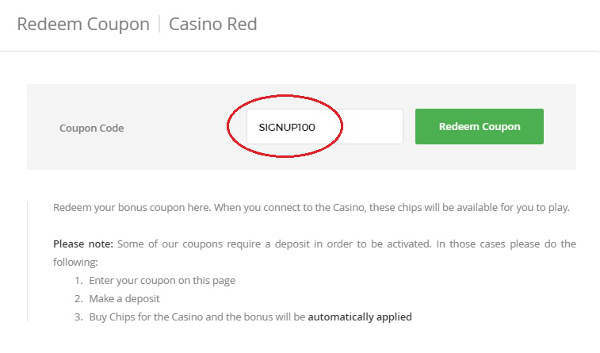 How Do I Use the Intertops Casino Red Coupon Code? How Do I Deposit at Intertops? What Are the Rules of the SIGNUP100 Bonus? How Do I Play at Intertops Casino Red? What Games Should I Play to Clear My Bonus? What Are the Other Promotions at Intertops Red? Intertops has been a respected name in betting for more than 30 years, and among its most popular offerings is its Casino Red platform. There are more than 300 games available to players in the United States and most countries around the world. Enhance your bankroll by claiming the SIGNUP100 bonus code, which is good for 100% up to $100 on your initial deposit. Click here to head over to the Intertops Casino Red now! It’s important to note that you must enter the SIGNUP100 coupon code BEFORE you make your first deposit to your account. Create your account by clicking on our link, clicking on “Register” on the top-right of your browser and following the instructions given. Then once you’re logged into your account, proceed to the “Casino Red” option on the left nav menu. Select “Redeem Coupon,” and type in SIGNUP100. Finally, press “Redeem Coupon” to activate your bonus. Now when you make your deposit of $20 or more, the bonus will be added to your account balance. Be aware that some of these methods aren’t available to American players. All-in-all, we think that Bitcoin is the best solution for most people because it’s speedy and inexpensive. 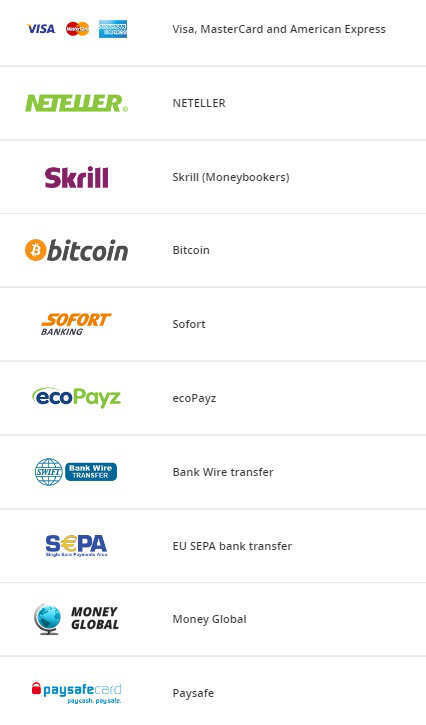 It also makes the withdrawal process go smoothly particularly for those in the United States. As with any casino bonus, the offer at Intertops Casino Red is subject to certain rules and restrictions. First of all, you can only claim the free SIGNUP100 funds if you have never before deposited to the Red Casino. However, if you had previously made a deposit to the Sportsbook or Casino Classic products, you’re still eligible for the Casino Red deal. 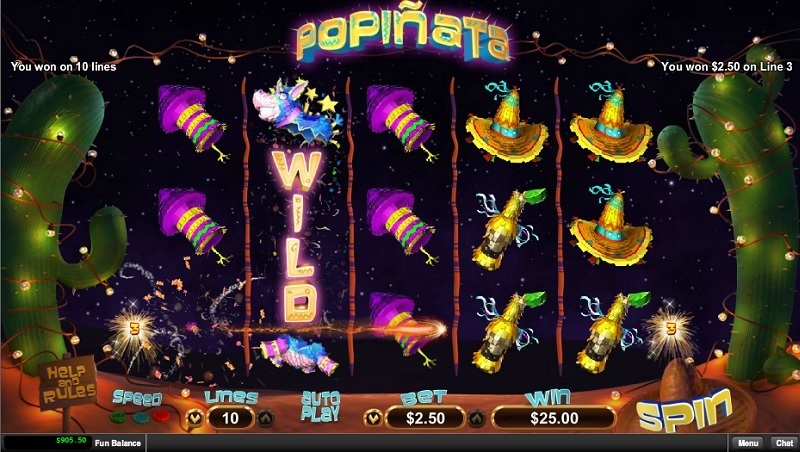 Intertops recognizes that people today wish to gambling using a variety of devices. This is why the company has deployed three separate casino gaming solutions for you to enjoy. All the games are supplied by Realtime Gaming, which has been in the industry since 1998. From your desktop, you can run the standard download version of the software. There’s also an instant-play option that’s compatible with most modern web browsers. Finally, a mobile casino that’s designed for tablets and smartphones rounds out the lineup. It’s easy to choose among these three interfaces by going to the Casino Red website and logging into your account. You’ll see the three casino software choices listed in the left menu. Just choose the one you want, and you’ll be ready to go. If you decide on using the download casino client for the greatest variety of games, then you’ll have to go through an installation procedure first, and you’ll actually access the casino through an icon on your desktop rather than through the website. ¡Viva la México! You’ll be matching cacti, sombreros, tacos and other festive symbols in this Mexican-themed, 10-line video slot. When a wild donkey appears, it will expand to fill its whole reel and complete any valid winning combinations. Then it will remain in place while the other reels turn, giving you the potential for multiple payouts. If you get another donkey to appear on a respun reel, then this process will continue. Go back in time to Ancient Egypt, and try to win Cleopatra’s Gold. Should three or more scatter pyramids show up at once, you’ll get 15 free spins with all prizes tripled! There’s a random jackpot that can be awarded at the end of any game round no matter which symbols show up on the machine. Choose up to 15 numbers, between 1 and 80, in this classic casino game. A series of picks will be drawn randomly, and you’ll collect a cash award that grows larger the more numbers you match. Press the “Quick Pick” button if you want the computer to select the numbers for you. Besides the up to $100 bonus granted by the SIGNUP100 coupon, there are a wealth of other offers to pad your profits. The process for claiming these bonuses is identical to that for inputting the first one, SIGNUP100. Each bonus code must be redeemed in the correct consecutive order. All of these bonuses demand a deposit of at least $20 except for the last one, which is a no-deposit code that will be sent to you by email after you’ve taken advantage of the four previous codes. On any day that you place at least one real-money wager in the Intertops Casino Red, you’ll be entered into a drawing that hands out $1,000. There are 20 prizes of $50 each to be won, and there’s no registration or promo code required to participate. Regardless of what games you play or for what stakes, you’ll get a comp point for every dollar you risk. Collect 100 of these points, and you’ll be able to exchange them for $1 in real cash. Deposit $50 or more and play through at least $500 in the Mobile Casino from Wednesday to Tuesday to attempt to score some free money. The Mobile Award drawings are held every Wednesday, and they distribute prizes between $20 and $100 to 20 lucky entrants. Grab Your Intertops Casino Red 100% up to $1,00 bonus! Read our review of the Intertops Sportsbook and bonus code offer here. 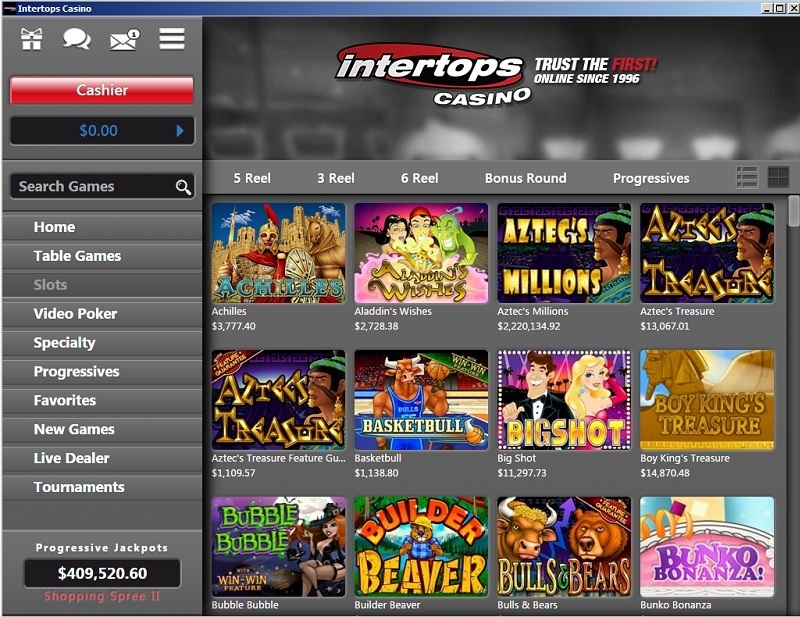 I've been playing and betting online for almost 10 years and Intertops has been around for a long time. After black friday and the government crack down, Intertops left the US but now they are back and they are a step above the competition imo. You can tell that they have a lot of experience in software development, user interface design, etc, as the site and software are easy to use and navigate. The sportsbook is also awesome. The only issue I have is that I cannot withdraw more than $2,500 in Bitcoin at one time... not sure if that is a monthly or weekly limit or what. Maybe that limit can be raised, but I'm not sure.